Are you wondering what shampoo and body wash to use on your little one? There is a HUGE range of baby products to choose from. And while you would hope – and expect – all baby products to be safe, there are some ingredients that moms might want to watch out for. 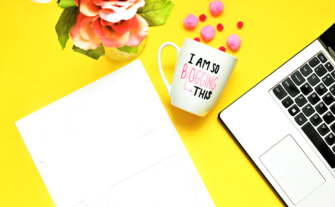 But while you’re trying to recover from childbirth, master breastfeeding and getting through that intense first week at home with your baby, you probably don’t have time – or energy – to research baby shampoos!! So I’ve rounded up five of the best baby shampoos. 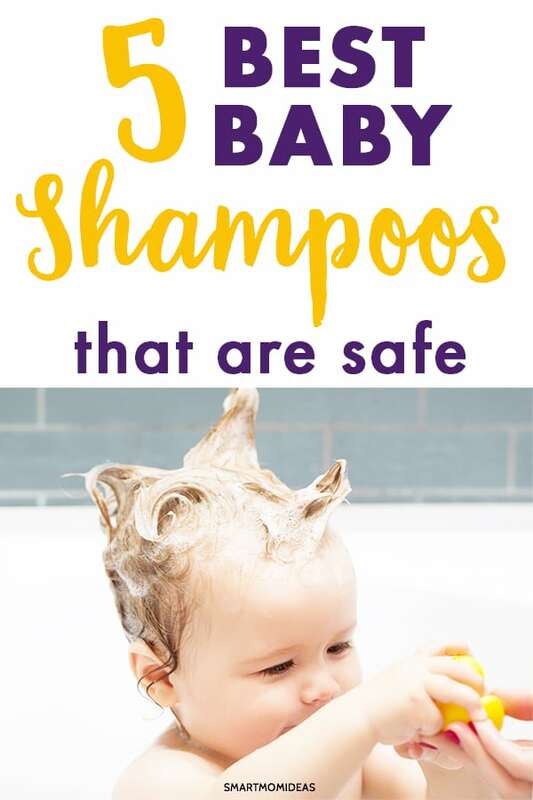 And I’ve included a list of things to check for when buying baby shampoos. Now you can get on and enjoy baby’s bath time. Why Use Baby Wash and Shampoo? Babies seem to need so much stuff!! Do they really need a special shampoo and wash? Most adult shampoos contain ingredients that are great for adult hair, but aren’t necessary for little ones. And baby skin can be more sensitive and prone to drying out than adult skin – so those products might be good for you but irritate baby’s skin. And since babies don’t have a problem with body odour, you don’t need to use a product formulated for adults to keep them clean. You don’t need to use much of whatever shampoo and wash you choose, so you can be sure the bottle will last and last. So as far as baby buys go, the shampoo and wash won’t take up much of your precious baby budget. But it will make a difference to baby’s skin!! Do you enjoy chemistry, mama? Researching baby shampoo might leave you feeling like you should! But seriously, here are a few things you might want to look out for when choosing a shampoo for your little one. Does Your Baby Have any Skin Conditions? 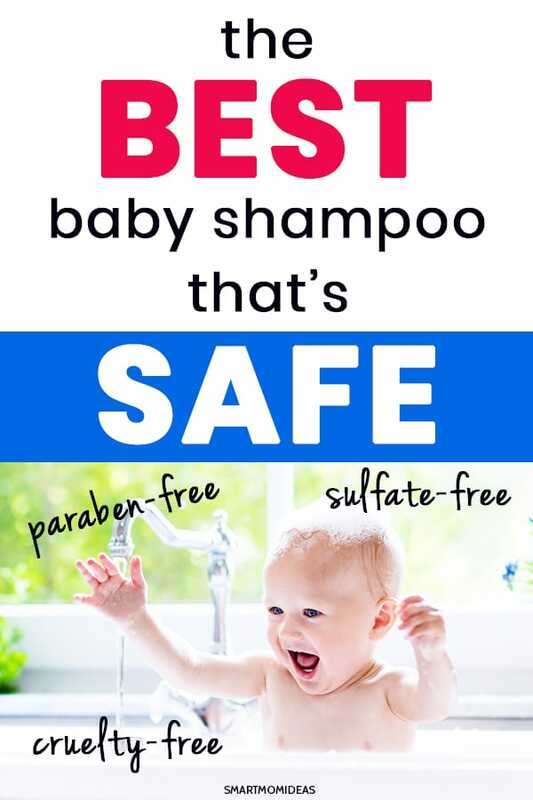 If baby has any existing skin conditions, you’ll need to take that into consideration when choosing a shampoo and wash. Probably the most common one to look out for is eczema. Here’s a helpful guide to spotting and treating baby eczema. Does the Shampoo Contain Parabens? Parabens are preservatives that are used in lots of products to stop them spoiling. But some people have raised concerns because parabens have been found to ‘mimic the female hormone estrogen’ and the resulting effects. So if you want to put your mom mind at rest, you can look out for products that are labelled as ‘paraben free’. Is the Shampoo Fragrance-free and Alcohol-free? Perfume and alcohol are often used in adult skincare products, but they’re ingredients to look out for in baby products. Because both fragrance and alcohol could irritate baby’s delicate skin. Alcohol will be listed as ethanol or ethyl alcohol – or look out for alcohol free on the label. Does the Shampoo Contain any SLS? Here’s where it gets difficult, mama! SLS stands for Sodium Lauryl Sulfate. And SLS is what makes your shampoo, body wash, toothpaste – and much more – lather up. Which is awesome, right? Because SLS have been getting a lot of negative press recently – which you could read about here, for example. And it’s worth noting that the natural skincare company ‘Lush’ is working to remove SLS from its products. Because they say that SLS can be drying to the skin. If you want to avoid SLS you can check the ingredients – this helpful post contains a list of ingredient names to look out for. When you start researching chemicals in skincare products, you’ll soon find a mention of 1,4 dioxane. But you won’t find 1,4 dioxane on any list of ingredients – because it’s created during the manufacturing process. So how can you avoid it? You have to look out for ingredients that may produce 1,4 dioxane during the manufacturing process. The FDA provides a list of these ingredients here. What Other Chemicals Can I Check for? You can find a list of chemicals of concern to look out for in baby products at the Campaign for Safe Cosmetics website. Here are 4 awesome baby shampoos that moms love. But remember that all babies are different and not all products will suit everyone. So you might want to do a patch test before using a product. This one is mild, tear-free and 99.9% natural! 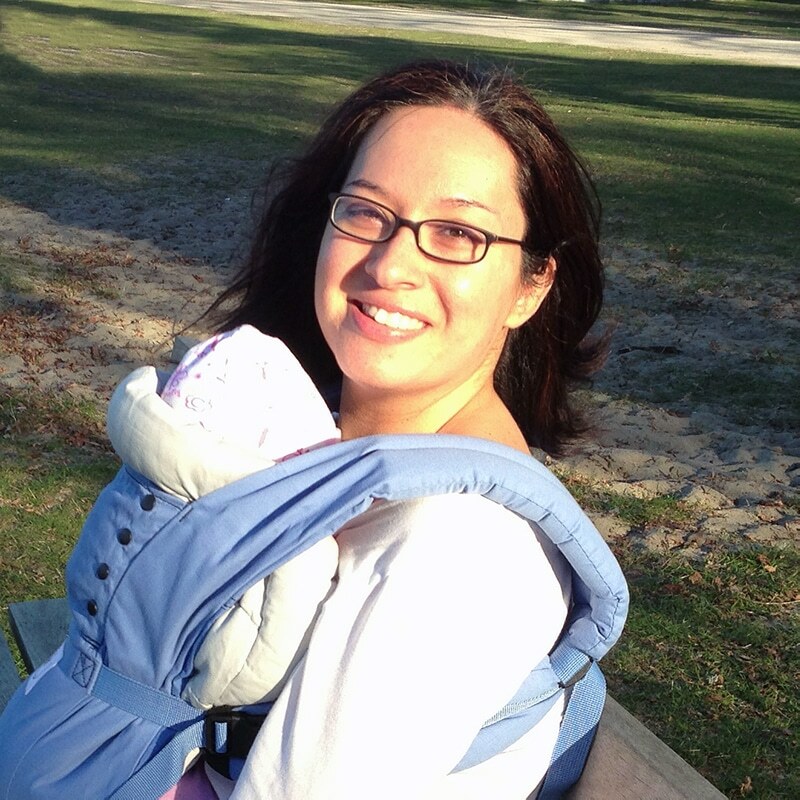 I love that this one is pediatrician tested – to help put your mom mind at ease!! And it’s also made without parabens and SLS. Burts Bees Baby Shampoo and Wash is available in Original, calming and fragrance free. This natural shampoo and wash won the Bump 2018 Best of Baby award. And you can see why! It’s made without those harsh chemicals – including no SLS or parabens. The ph balanced formula means it protects baby’s delicate skin. It’s made in USA and not tested on animals. And there are tons of rave reviews from happy mamas. So if you’re looking to save yourself hours of baby shampoo research, go for this one! Soap-free, paraben-free, and tear free. Good for us mama! Aveeno is a pediatrician recommended brand so this one is a great choice for worried mamas. This shampoo and wash is made with oat extract to calm and nourish baby’s delicate skin. This shampoo is great for mamas, too, so save yourself some space in the bathroom and make this one a family shampoo! This baby shampoo one is sulfate and paraben free. And it carries the EWG – Environmental Working Group – mark, so you know it’s worry free too. It contains natural lavender oil so using this one before bedtime would be a great way to help your little one drift off to sleep – getting baby to sleep can be a challenge. And if your little one has cradle cap or eczema, Babo Botanicals make an extra gentle shampoo and wash. Still not sure which baby shampoo to choose? Keep reading to check out my best baby shampoo pick. But first here are some common questions you might have about bathing your newborn! When should I start to bath my newborn? You’ll want to wait to give baby her first bath until after the umbilical stump has fallen off – this can be between 10 days – 3 weeks after birth. Until that umbilical stump falls off and the area heals, you can give baby a sponge bath or ‘top and tail’ her. You might have already come across this term, but topping and tailing just means washing baby’s face, hands and bottom. You can use cotton pads with some plain warm water. Be sure to get into baby’s skin creases and use a fresh cotton pad for each eye – so you don’t spread any infection. Pat baby dry and give lots of cuddles. The American Academy of Pediatrics recommends bathing baby no more than 3 times a week to avoid drying out baby’s skin. When should I start using baby shampoo? For the first month, it’s best to use just plain water – to protect baby’s delicate skin. How do you bathe a baby? Remember that you can wait a little bit before giving baby the first bath – until you’re feeling more confident. When you’re ready, here’s an awesome step by step guide to giving baby’s first bath. And here’s a video if you prefer to watch. The Smart Mom Ideas Best Baby Shampoo and Wash choice. Fully certified organic and carrying the EWG mark, this has to be a winner for worried moms. This baby shampoo is paraben free, sulfate free and cruelty free. When my twins were babies, this is the baby shampoo I used and loved. It was so gentle and had a mild smell. And I LOVE that this bottle has a pump – so it’s quick and easy to use when you’re trying to keep your eye on baby. And moms are loving it for sensitive skins. Baby’s bath time should be full of fun, bonding and memory making. It shouldn’t be full of worry about what products you’re using. So make things easy with this list of best baby shampoos. Over to you – let me know in the comments if you’ve tried any of these best baby shampoos and what you think.